Spring Reflections At Divani Chocolatier - Go Foxburg! Welcoming Spring and her bounty is a favorite time for all, as we shake the last few flakes of snow from our boots and our thoughts, shifting them toward warmer days. Spring is indeed the “brainstorming” phase of Nature’s cycle. It is a time of revelation. A time of awe and wonder… and planning. Easter celebrations mark the spirit of reflection, renewal and rebirth, as family and friends emerge from their warm and cozy dens. We join together again, sharing insights from the calm heart of winter, which lays the foundation for the active Summer days. Filling up baskets full of Springtime goodness! Many of us take care to fill this time with anticipation, bringing forth glimpses of the bounty to come. We hold the first feast with our loved ones since the coming of the New Year. 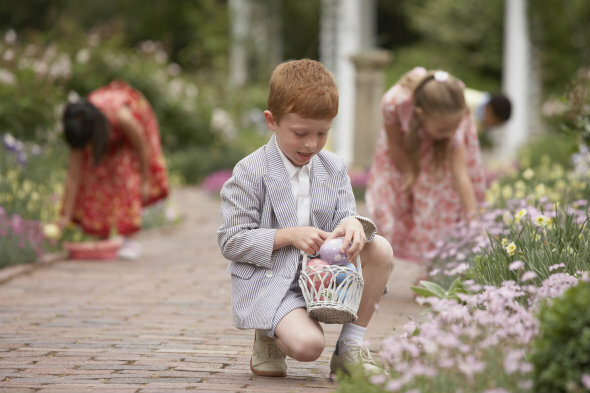 We engage in outdoor games and hunt for evidence of the blossoming season, including that which has been hidden by the Easter Bunny. We indulge a bit in delicious treats and revel in the sweetness of the revival. It is a very special time indeed. So fill your hearts with eagerness and fill your baskets with provisions! Summer is officially on its way! Yet, take the time to enjoy the masterful glory of Spring’s changeability. She will show you all that is possible, if you know just where to look! Join us Saturday, March 28th at 10am for our annual Easter Egg Hunt! Note: Our beautiful cover image for this post is the masterful artwork of Emily Balivet. The post Spring Reflections At Divani Chocolatier appeared first on Divani Chocolatier. Beautiful post! Here’s to a blessed spring and to enjoying all that is fresh and new!! Can’t wait to enjoy some of your yummy chocolates!